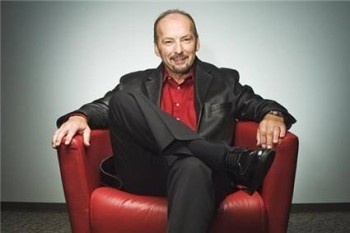 EA Sports chieftain Peter Moore doesn't know if the next generation of consoles will have actual physical disk drives. Speaking at this year's PLAY Conference during the "The Monetization Game" panel, former-Microsoft-now-EA-Sports boss Moore (and Guitar Hero designer Kai Huang and ngmoco CEO Neil Young) discussed many of the developing and consistent trends of the industry over the past few years. Moore wondered if gamers were becoming fed up with various plastic peripherals, doubting how long the industry could sustain the trend, saying that if people stopped buying Guitar Hero, Activision CEO Bobby Kotick would find himself on a mountain of half the world's plastic. "[The industry is] at least a decade away from saying goodbye to a physical disc. The more important question is what does the next generation of console look like?" answered Moore - in other words, will the next consoles have physical disc drives, or just rely on connections to the Internet? Either way, he thinks Microsoft will be the first to make the jump when it does happen. It's extremely hard to imagine a potential next generation without disc drives. Not only would that inhibit the devices' potential to act as secondary media players, but it would only limit the device's appeal to those with a broadband internet connection. Sure, it might seem like everyone and their parents has broadband these days, but that isn't actually the case. Furthermore, whichever company does go straight-to-digital would probably need to have backups and assurances that if it ever goes under, people can still access their games. If anything, I think the next generation will follow the philosophy espoused by Rockstar founder Dan Houser over the release of GTA IV: The Ballad of Gay Tony: Everything will be online and digital for those who want to go that way, but it'll also come in a physical box for everybody who doesn't want to hop on the digital bandwagon.